A week or so ago, my family stood in the cemetery in roughly the same place we’d stood more than two decades earlier. Though we were laying to rest a second family member, the scene could not have been more different. This time, the sun was shining. There was sadness, but no tears. The container of dad’s ashes – labelled with the metal panel from his coffin – was placed gently into the space dug near the 23-year-old plaque. Petals collected that morning from flowers in mum’s garden were sprinkled over the container, some falling on the weathered old plaque nearby. Mum commented that dad would have liked the simplicity of the ceremony. The attendant – John – carefully filled the hole, saying he would put fresh turf over it the next day. In a broad Aussie drawl, he apologised for not wearing something more formal. Normally he would be in a suit, but he’d been called in at the last minute. Cemeteries have emergencies too. He needn’t be worried, someone said. If anything, the weekend work clothes he had on were more appropriate for dad, a working-class man. John had worked at the cemetery for many years and remarked that he sometimes stopped by the plaque and wondered about the man pictured there. 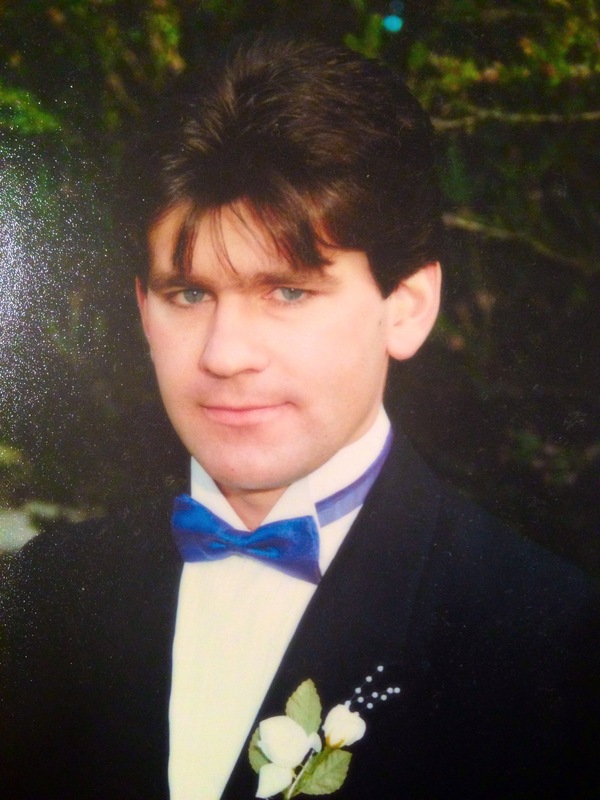 The photo was of a handsome young man, taken at his best mates’ wedding where he’d officiated as best man, a month before he died. At that time, I was a post-doc at Rockefeller University in Manhattan, New York. I’d started on April 1, 1991. I could have taken up the post a few weeks earlier, but had delayed a little so I could attend a sister’s 21st birthday party. I’m glad I did. As it turned out, the celebration was the last time all the family would be together. By Oct 1991, six months after arriving in New York, I’d furnished my studio apartment on 63rd and York, successfully navigated the subway to find all the places I needed to get to, and had hosted several visitors from Australia. One visitor asked whether I would consider returning to Australia as a group leader. “No way,” I replied “not as a group leader. That’s far too stressful, too much work.” Strange thing to say really, I was already working days, nights, weekends in New York. I did, though, take time out to enjoy the incredible diversity of museums, cultural centres and restaurants that the city had to offer. Friday, October 25, 1991 started off like any other. I got into the lab around 8 am, and spent a few hours purifying proteins from bacterial cultures, preparing to set up crystallisation trays later in the day. By late morning, I needed a break. I returned to the office I shared with three other postdocs. Unusually, there was no one else around, but a note had been left on my desk. It said that I should call the number written below. It was a Melbourne number, but not one I recognised. “That’s odd” I thought “why would anyone want me to call now, it’s the middle of the night in Melbourne”. No alarm bells rang. Completely unprepared for the devastating news that was to come, I called the number and heard that I’d reached the emergency department of a major public hospital close to my family’s home. My mum and sister both worked there, so perhaps it wasn’t that unusual to get a call, but it was strange to come from the emergency department in the early morning Melbourne time. Maybe the number had been written down incorrectly, maybe mum/my sister were working night duty. I explained to the voice on the other end of the line that I was in the USA and had been left a message to call that number. I half-expected the voice to say “Oh, sorry, there’s been a mistake; we’ll put you through to theatre (where mum worked) or CCU (where my sister worked)”. But that didn’t happen. There was a few second’s silence, then “Just a minute, we’ll put you through”. It was about then that the alarm bells started clanging. WHAT. NO. NO. PLEASE NO. WHO? MUM? DAD? The questions tumbled out. Within a few hours, I was on a flight from JFK to MEL via LAX. It was surreal. That morning I’d been purifying protein, now I was on my way home to help organise my youngest brother’s funeral. My brother Peter. So full of life and mischief. The service would be held on 31 October, Halloween. That day now forever linked to sorrow. Etched in my memory of that week is the physical pain of the raw grief, the utter anguish and despair that – together with the overwhelming perfume of condolence flowers – filled my parent’s home; the hundreds of “in sympathy” cards; the pathos of a phone call dad made to explain why Peter wouldn’t be coming into work any more. Choosing the clothes Peter would wear for the last time. Viewing his lifeless body. Saying goodbye. In loving memory of Peter William Martin. Beloved son of Jack and Judy. A cheeky grin, twinkling blue eyes, strategist, car enthusiast, active, helpful, loyal, gentle Peter. These things we will remember of you with love. The measure of your life is the love you left behind. Peter was 25 when he died. The same age as Phil Hughes, the Australian Test cricketer who passed away recently. Like Hughes, Peter’s death was a tragic accident. Like Hughes, Peter’s character was defined by his cheeky grin, and twinkling eyes. He had a wicked sense of humour. As a boy, he was a walking encyclopedia of facts about World War II, often interrupting movies we were watching to explain anachronisms – “that tank is wrong, it hadn’t been built at that time”. As he grew older he developed the gift of drawing you in to his world, charming you with the delight, the joy he took in whatever had captured his imagination, a book he’d just read, a historical fact he’d just discovered, a painting he was working on, his dungeons and dragons obsession. Whatever it was, in his presence it became the most important thing in the world. Peter was 5 years younger than me, and the youngest of the 5 boys in the family. Like many brothers he could be most annoying at times, and then at other times he would be extraordinarily generous and considerate. When my black and white cat (named Sylvester, what else) disappeared I was devastated. Peter, all of 9 or 10 at the time, brought home a tiny black kitten for me, a stray he’d found on a light industry site where he delivered newspapers after school. Despite scorning my music preferences, he offered to tape the entire 3 hour soundtrack for my 21st birthday party, and followed my instructions to the letter. 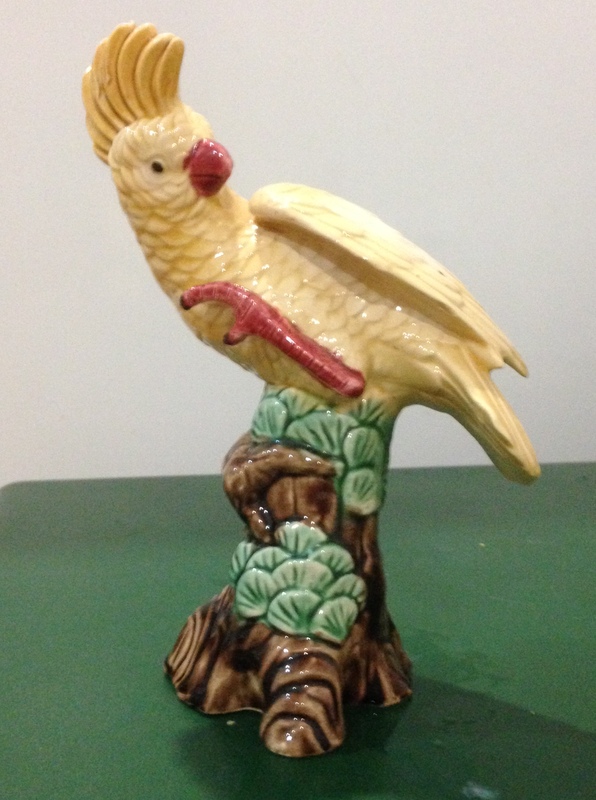 As a birthday gift that year, he gave me the ugliest figurine you can possibly imagine, of a cockatoo. It was his idea of a joke, to remind me of his pet budgie Billy. A badass budgie that nipped anyone that came near him. Except Peter. He loved Peter. And yes, I still have that figurine. When I moved to the UK to undertake a DPhil at Oxford in the late 1980s, I was desperately homesick and asked family to send Christmas gifts that would remind me of home. Peter and I both supported the same football team; he sent me his cherished bombers flag, the one he’d waved at the Essendon premiership a few years before. Sadly that flag no longer exists. His untimely death impacted family members in different ways. For me, it meant insomnia for several weeks requiring medication, and relentless guilt for not being there when he died. It also cemented in my mind that I would not choose to live overseas for my work, even if the opportunities might be better. I vowed to knuckle down, complete the work I was doing in the US, and then return to Australia. So it was that in mid-1993, two years after declaring I didn’t want to be a group leader, I took up an ARC QEII Fellowship at the University of Queensland where I established my own protein crystallography group. Of course, there were many other reasons to select UQ. But the choice of country was not negotiable. So when I’m asked at career forums about my career decisions, why I returned to Australia after a very successful PhD in the UK and a very successful postdoc in the US, I say I made the decision for family reasons.